Spokane is in the running to receive up to $3.2 million to improve its criminal justice system. In May, Spokane was chosen as one of 20 cities nationwide to compete in the Safety and Justice Challenge hosted by the MacArthur Foundation. The goal is to safely reduce local jail populations, reduce the length of stay in jails and reduce racial and ethnic disparities within criminal justice systems across the country. 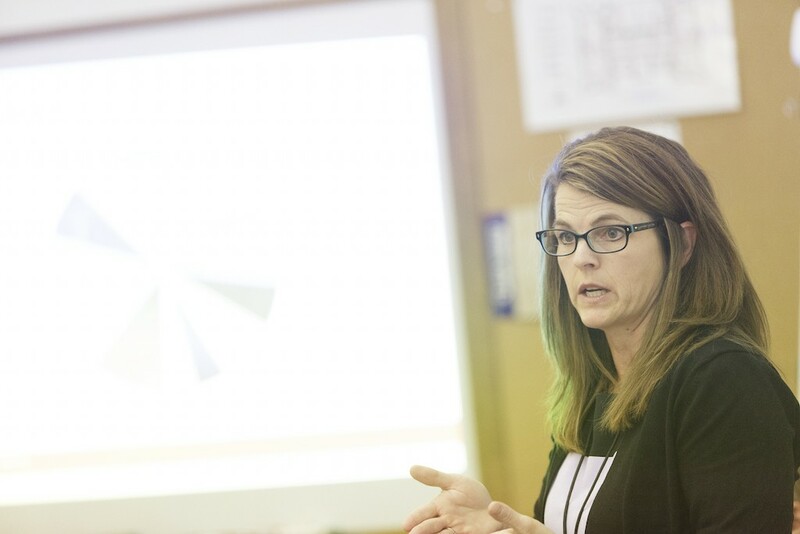 Wednesday, the acting administrator for the Spokane Law and Justice Council, Jacquie van Wormer, submitted Spokane's application for the grant money. It lays out requests for funding for nine pretrial service officers, three social workers — one each for the three public defender's offices — three mental health professionals for the jail and IT support for the city and county clerks offices. The application also asks for money to develop a racial and equity analysis tool tailored specifically to Spokane's needs. The disparity for African Americans in Spokane's system is the worst out of the 20 cities competing for money from the MacArthur Foundation, van Wormer says. Since May, prosecutors, public defenders, judges, police, detention officers, probation officers, pretrial workers, members of city and county government and mental health service providers have been scurrying to collect data to give the folks at the MacArthur Foundation. • A need for an improved risk analysis tool to help judges better understand individuals' likelihood to reoffend and reappear for a court date. Doing so will drive decisions to impose bail or release someone before trial. "Criminal justice systems across the country are moving to using these actuarial tools rather than a gut feeling," van Wormer says. "It ensures you're putting the right people in jail." • Create a robust pretrial services office. • Create greater diversion options for defendants to address root issues like mental health and substance abuse. • Create a portability team consisting of a judge, prosecutor and public defender to hear charges from all three courts. Someone charged with a misdemeanor and a felony would no longer have two separate court appearances in front of two different judges. •Addressing racial and ethnic disparities. 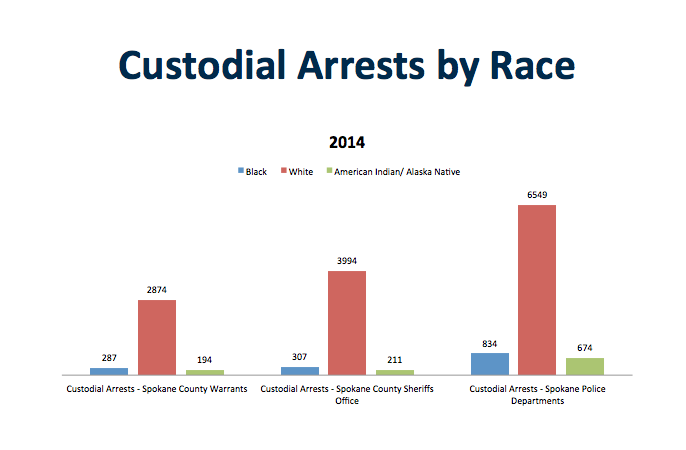 This graph shows there are almost three and a half black people arrested for every one white person in Spokane County. "If you look at the whole criminal justice system, the feeder is who the police choose to stop," says Gloria Ochoa-Buck, director of local government and multicultural affairs for the city. She's been involved in the application process from the beginning. 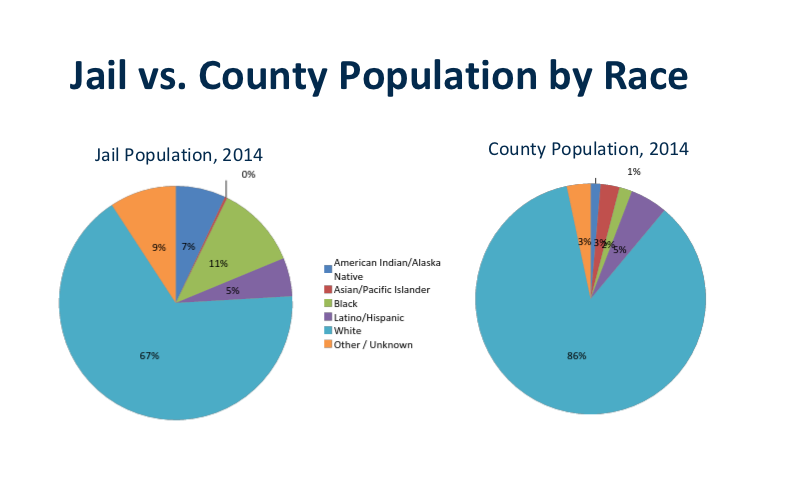 These pie charts show that minorities are over-represented in the county jail relative to their population in the County. Some people are booked on multiple charges. This data represents only the worst charge. 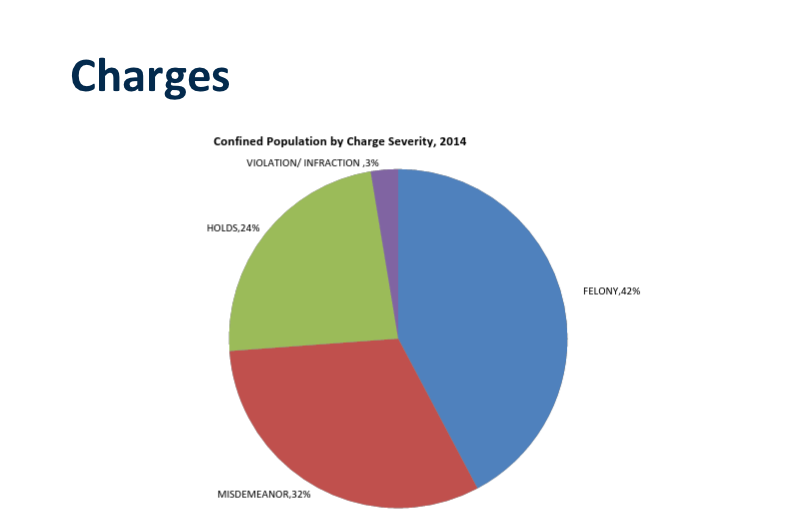 For example, if a person is booked for malicious mischief (misdemeanor) and possession of a controlled substance (felony), this chart only shows the felony charge. Some misdemeanors, like domestic violence or DUI, carry mandatory jail time (holds). These graphs indicate a need for more uniform data collection, Ochoa-Buck says pointing to the three racial distinctions. 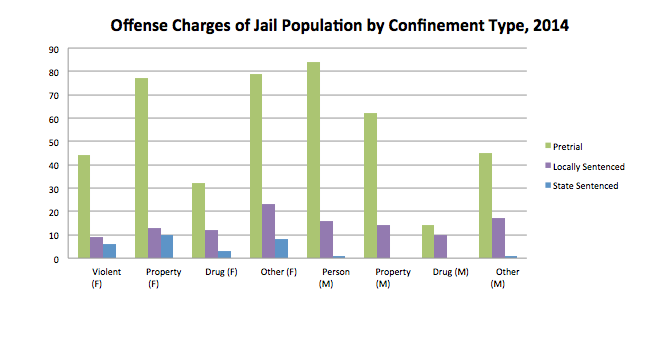 Look at the charts for the county jail population above, for example, which identifies six categories for race. 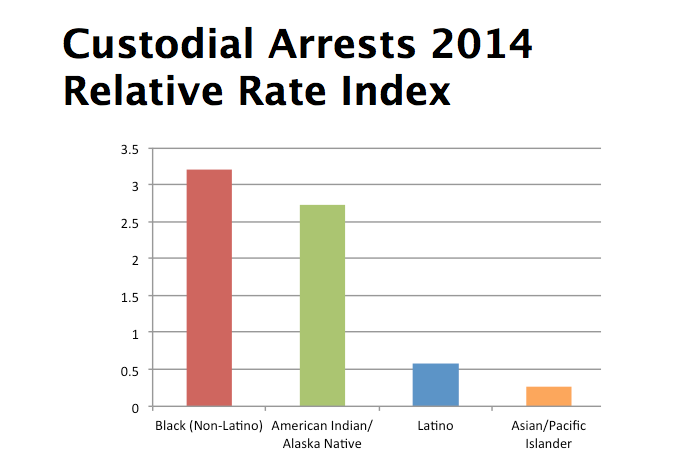 Ochoa-Buck says data for Spokane's Latino population is insufficient. 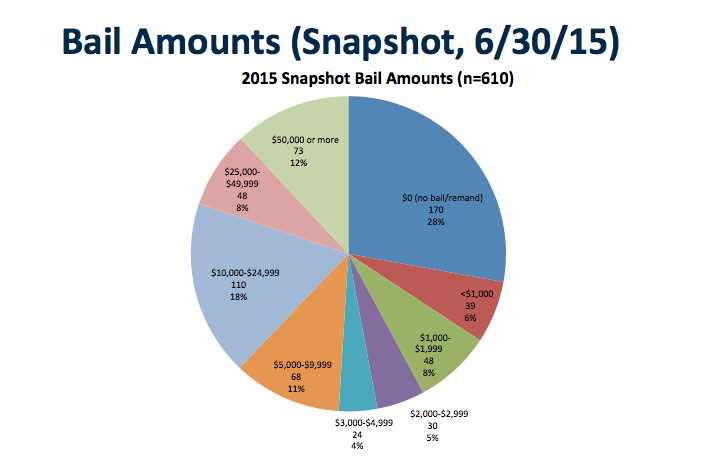 This graph indicates that most of the people sitting in jail were waiting for trial.